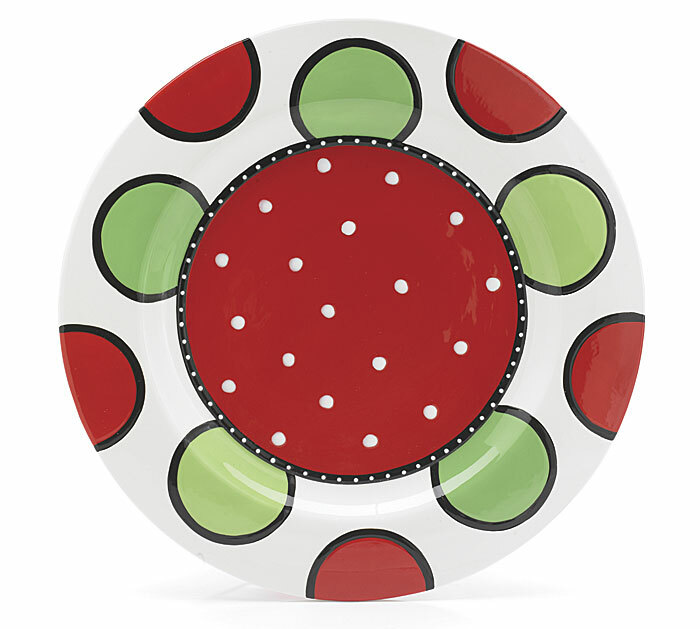 11" Diameter Hand-Painted Raised Ceramic Christmas Plate. Add any of our Small Christmas Adornments to Celebrate the Season or Any of Our Small Adornments to Celebrate the Other Occasions. (All adornments sold separately). Order our Small Plate Stand to Display. Perfect for Leaving Cookies for Santa! !